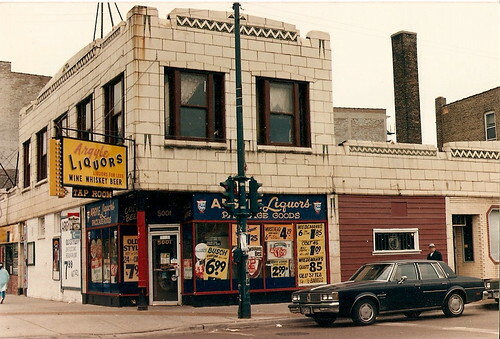 Argyle Liquors 1980s, a photo by Jonie Snake on Flickr. I always felt the lame upgrade of this buildings was a crime. I talked to the demo crew when they took off the terracotta, and was told there was nothing wrong with it structurally. I was able to rescue a few pieces and have them sitting in my yard. Follow the link back to flickr to see more of Jonie Snake's work.